Happiness is stopping for Italian Ice on the way home from picking up our CSA box. Emma loves to sample a couple flavors before making a decision. Olivia makes her decision based on color. 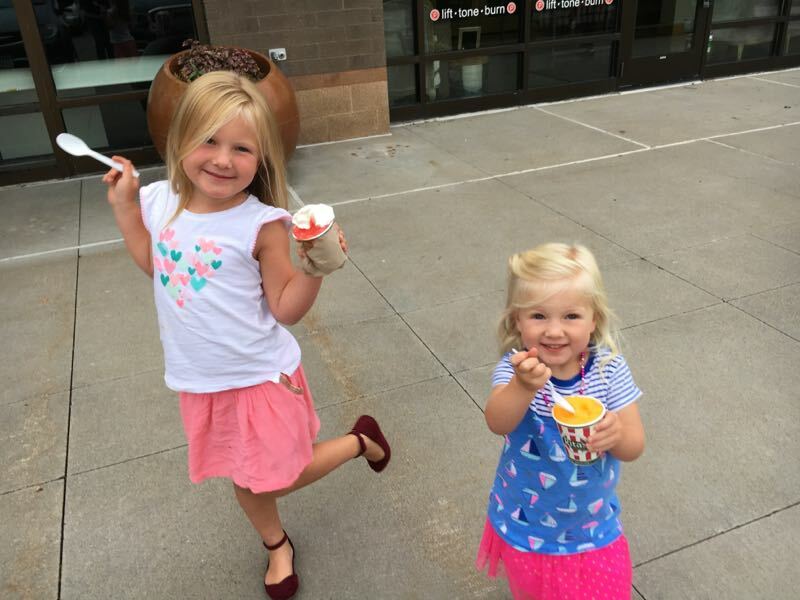 Today Emma went with watermelon, and Olivia wanted the yellow one (mango).